The King is naked!! Can you believe this?. The richest, biggest and strongest economy of the world is slowly nearing the inevitable disaster. A disaster that the world has never seen before and can shake the entire world more than Atom Bombs.Over the last 50 years,the mighty kingdom have accumulated the biggest mountain of debt in the history of the world. 30 years ago the U.S. national debt was a bit under one trillion dollars and today the national debt is 14 times larger and the years ahead look absolutely horrible at this point. 3. In 1980 the U.S. national debt was 907 billion dollars. Just thirty years later, the U.S. national debt is over 14 times larger. 4. 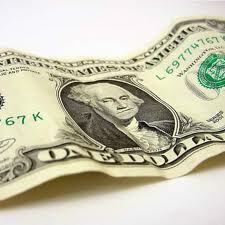 According to a recent U.S. Treasury report to Congress, the U.S. national debt will reach 19.6 trillion dollars in 2015. 5. It is being projected that the U.S. government will be paying 900 billion dollars just in interest on the national debt by the year 2019. 6. The U.S. Congress has raised the federal debt ceiling six times in just the past three years. 7. The latest forecast from the White House budget office shows the deficit rising to $1.47 trillion this year, forcing the government to borrow 41 cents of every dollar it spends. 8. When we break down the debt that the U.S. government owes to China alone it comes to over $10,000 for every single American family. 9. From 2010 to 2020, the Congressional Budget Office estimates the cumulative deficit will be close to $7 trillion. This means that over the next decade, approximately $7 trillion will be added to their existing national debt, creating a total public debt of more than $18 trillion. 10. If the federal government began repaying the national debt at a rate of $10 million dollars a day it would take approximately 3,800 years to pay off the national debt. The U.S. debt has grown rapidly with the economic downturn and government spending for the Wall Street bailout, the wars in Afghanistan and Iraq and the economic stimulus.Today United States lost its top-tier AAA credit rating from Standard & Poor's which has had a AAA credit rating from S&P since 1941.